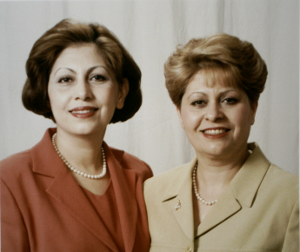 Dr. Marya and Dr. Morin Montazeri are sisters who are pleased to have the opportunity to serve patients in the community for over 10 years. Through continuing education and state of the art dentistry, they are able to offer you and your family the highest level of care. They take the time to listen to their patients in order to offer the best treatment options. Dr. Morin graduated from Boston University Goldman School of Dental Medicine in 1996. She has a caring and gentle nature. Her priority is to be attentive to her patients needs and their well-being. 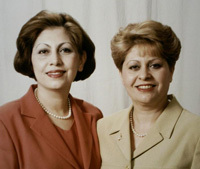 Dr. Morin is a dedicated wife and mother of two sons. She enjoys spending time with her family and traveling in her free time. Dr. Marya graduated from Boston University Goldman School of Dental Medicine in 1998. She is a compassionate general and cosmetic dentist, who aims to provide the latest techniques and procedures. Dr. Marya is married and has two sons and a daughter. She enjoys spending time with her family, and reading novels in her free time. Arlington Dentists offering General, Cosmetic, and Family Dentistry.